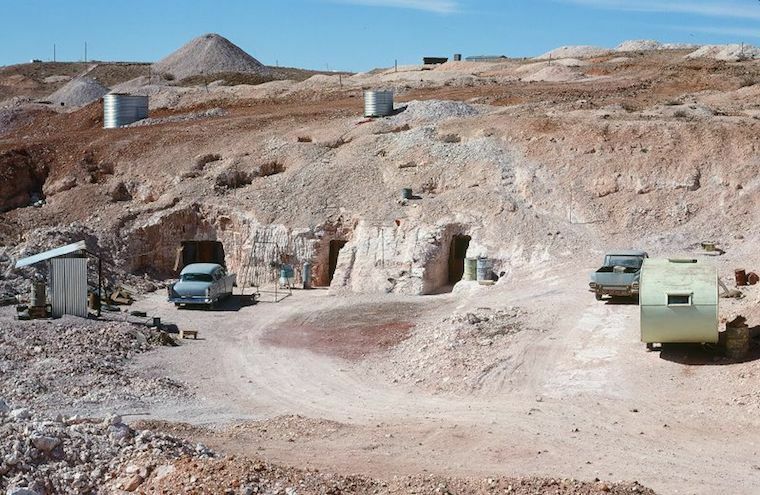 It is the biggest opal mining area in the world. It is also home to around 3,500 people of 45 different nationalities, many of them Europeans who arrived in the 1960s in search of fortune. 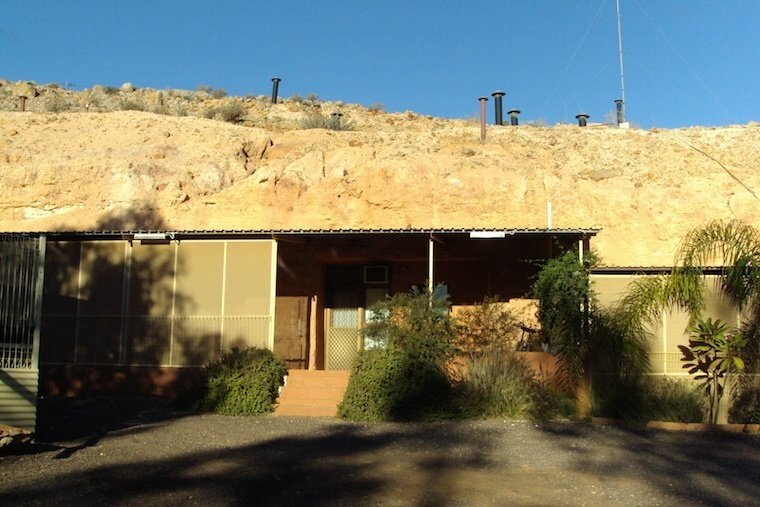 But this small city in southern Australia also lays claim to another rarity: most of its inhabitants live underground. 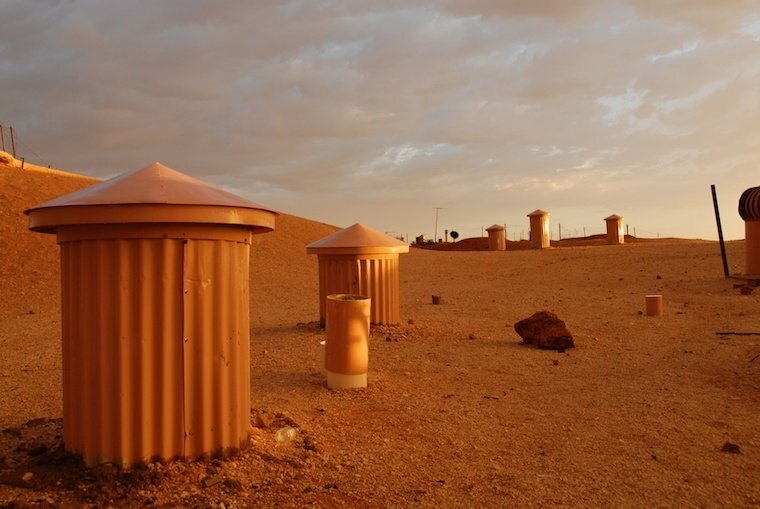 Chimneys poke out of the ground at Coober Pedy, Australia. From a Greek Orthodox church to Jehovah’s Witness Kingdom Hall, this white man’s hole has it all. 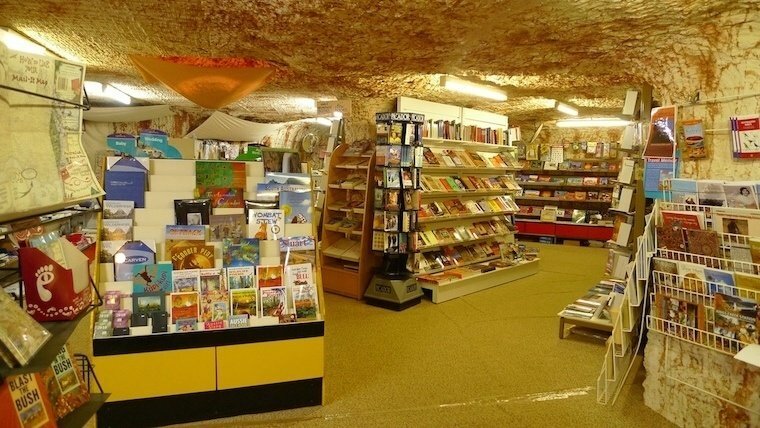 Everything from churches and a school, to a bookstore and hotels — which serve a growing number of tourists who come to see the odd city or to search for precious opal stones — is buried in the dirt. 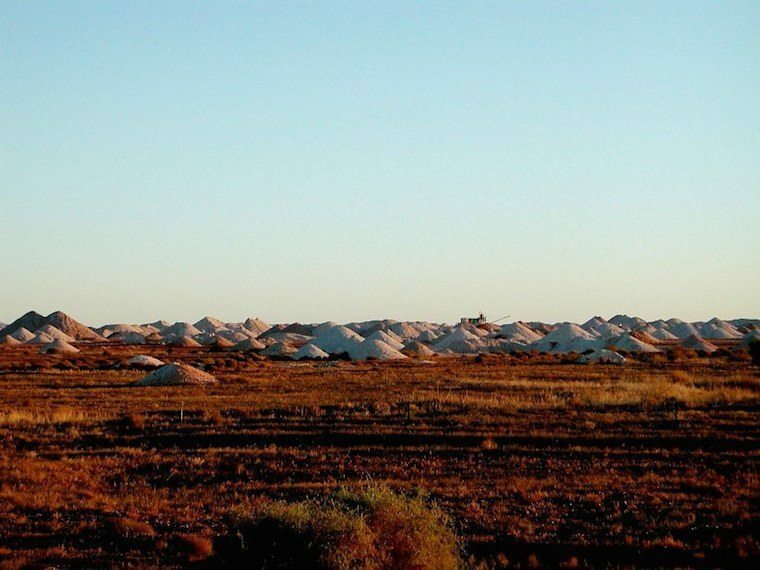 Why do the citizens of Coober Pedy choose to live like moles? It’s simple: life above ground is too hot. 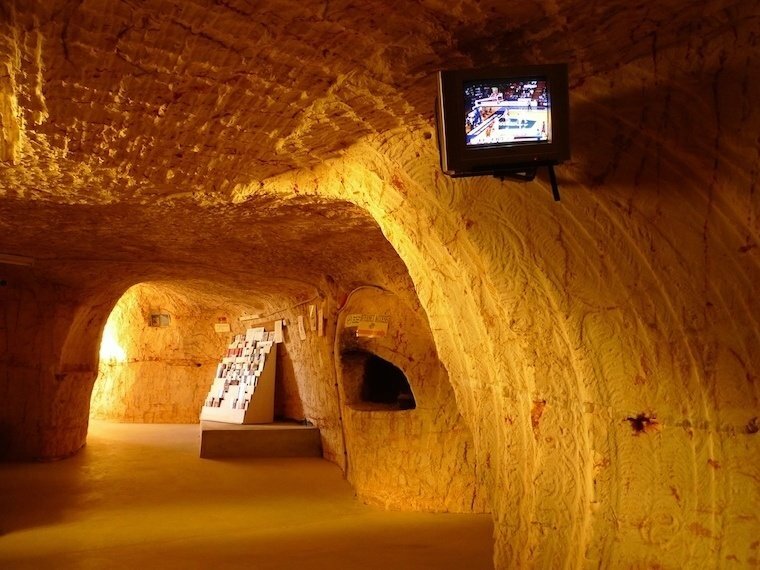 In the summer, temperatures at Coober Pedy reach 104 degrees Fahrenheit and sometimes higher with very little rain. 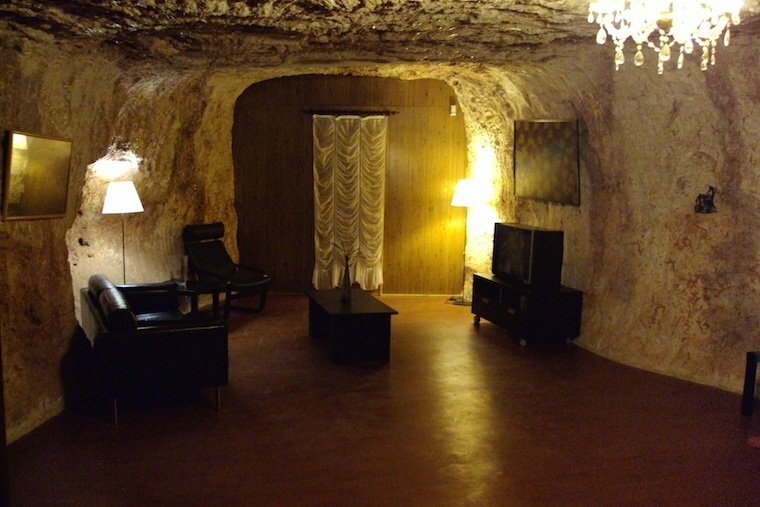 In such heat, cave life just beats above-ground living. 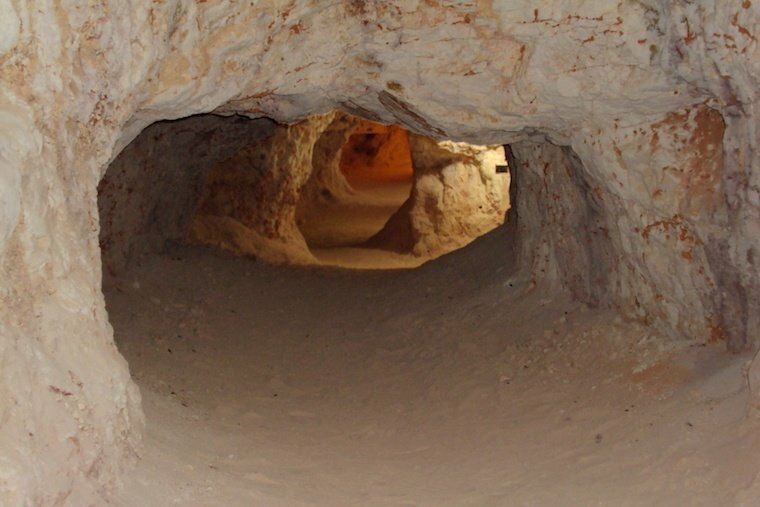 Inside the white man’s hole, people are protected from desert sandstorms and enjoy a constant, cool temperature of around 74 degrees Fahrenheit, making desert life more bearable. 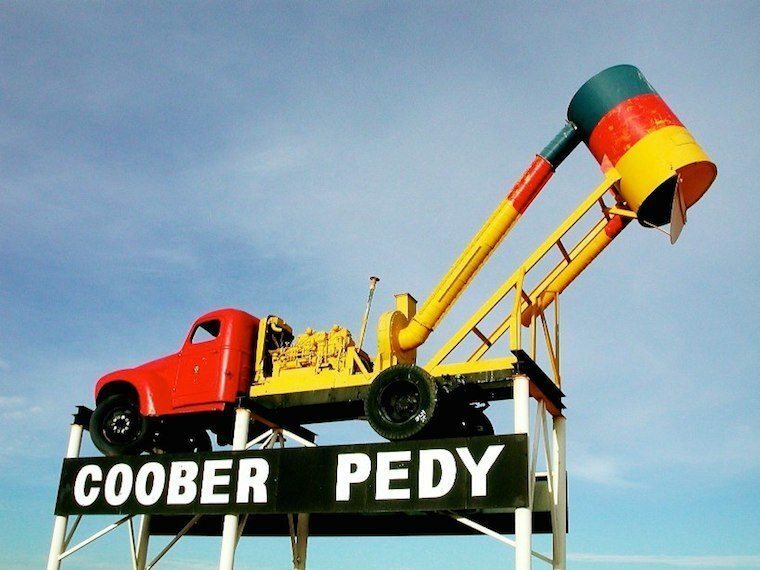 As a tourist in Coober Pedy, you can visit the art galleries, a working mine (and even try to dig a bit yourself), or the scenes of movies like Mad Max or Priscilla Queen of the Desert. 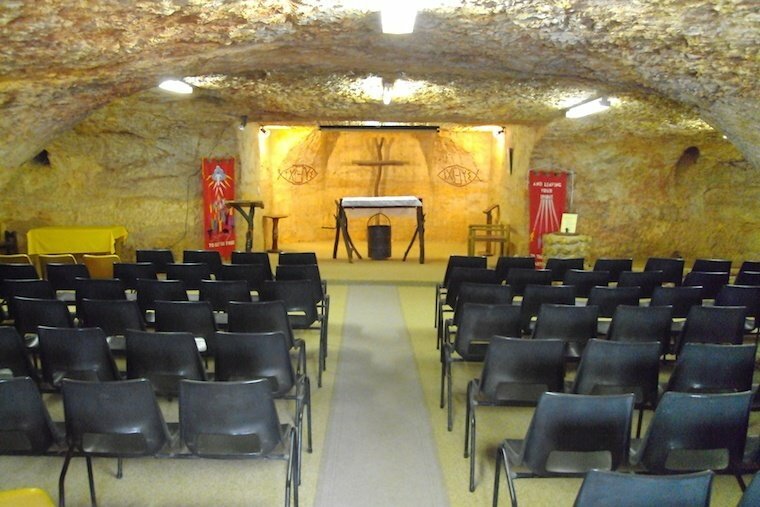 For something different – as if everything was not different already – you might want to check out the Painted Desert (a nearby ancient seabed of spectacular beauty), the old cemetery filled with the deceased from diverse backgrounds, or the kangaroo rehabilitation center. At night you can enjoy their grassless golf course, where all the golfers use glow-in-the-dark golf balls. 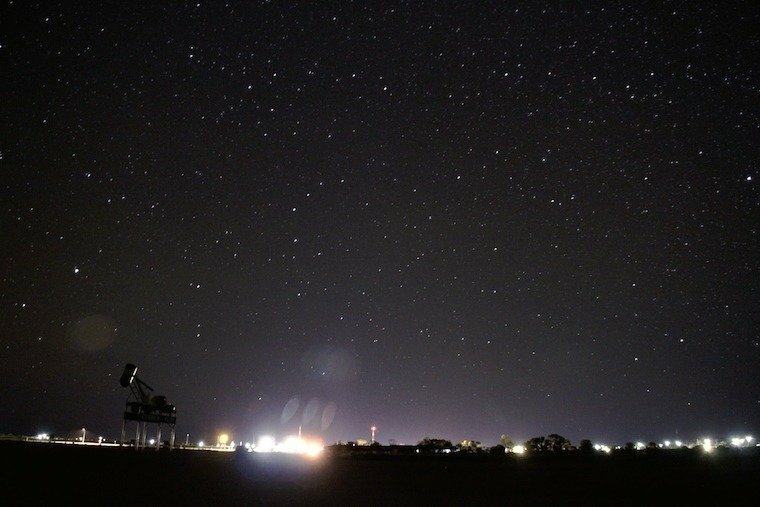 What you can’t do, however, is to see the Coober Pedy Saints play football. The Saints never play home games. 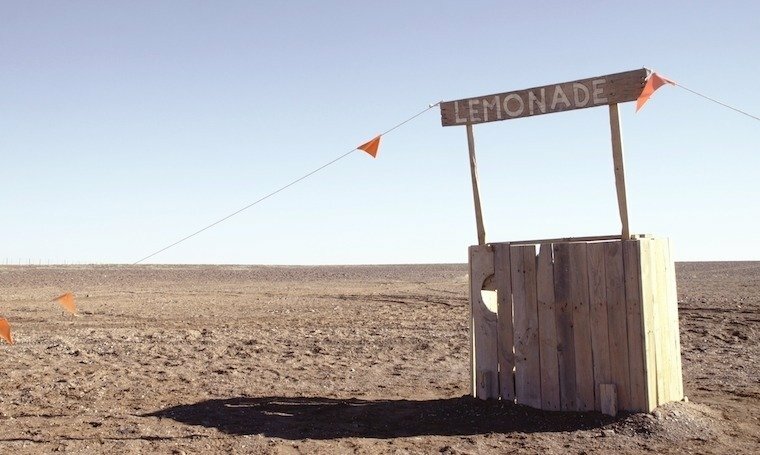 It’s just too hot, and, so far at least, the town hasn’t hollowed out a football field.